Are SEM And SEO Simply Two Sides Of The Same Coin, Or Distinct And Separate Techniques? Posted on 10th May 2012 at 11:18. When businesses want to improve their ranking on search engines and engage more customers online, what sort of methods do you think they’re likely to use? Well, it should come as no surprise that they’ll opt for a ‘complete’ marketing strategy that uses a mixture of both SEO and SEM techniques. Now some people may believe that these techniques are on and the same thing, or if not wholly identical, then are very closely related. The fact of the matter is that these two practices are not the same thing; they may share certain characteristics, but they are different. Search engine marketing is in fact a complete marketing campaign strategy: search engine optimisation is simply part of this overall strategy. SEO is the art of optimising a website to make it more visible to the search engines .In other words tweaking a website so that it ranks higher on the likes of Google or Bing. It’s a vital tool that can help businesses attract more attention and consequently garner a greater number of customer conversions. 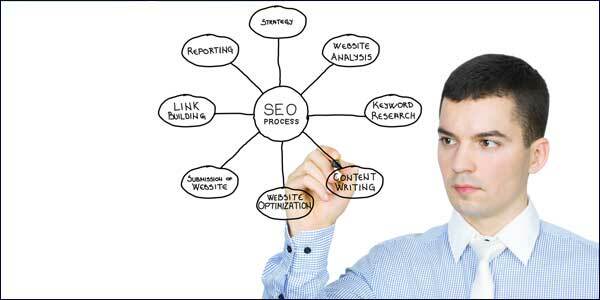 SEO includes both on-site and off-site strategies. The purpose of SEO is to review and develop a website. This means that marketing strategists will look at developing a web-friendly design, a clean code and search engine –friendly URLs. They also try to ensure that the website has strong and relevant content, appropriate and targeted keywords, optimised Meta data, calls to action and strong link development. Without a comprehensive SEO strategy, any website will struggle to gain prominence in the search engines and will simply go unnoticed. As already stated, SEM is a generalised term that represents a complete search engine marketing campaign. This umbrella term includes everything from search engine AdWords campaigns, online banner adds, local, regional and national advertising, a complete link development programme, video, mobile, content marketing and a social media programme development, as well as search engine optimisation. A search engine marketing programme is a comprehensive and valuable branding strategy that can help any business achieve bigger and better things. SEO is just one specific string to this bow. So how can a business tell which service marketers are offering? If the distinction between the two still appears to be nothing more than a question of semantics, then look at it this way. Many SEO strategists offer what they term as a ‘complete’ search engine marketing strategy and guarantee that if you use their services, then your business will flourish. What they’re actually offering is a sort of hybrid SEM strategy: a kind of pared-down version that won’t necessarily do what it promises to do. Ok you might get a bit of AdWords in there and a little bit of social media work. If you’re really lucky you might also get a bit of banner work and a separate website page of your own linked to their corporate site. What you’re not getting is a complete SEM package. It’s not even a complete SEO package. It’s actually just fiddling around the edges. Google launched its crusade against poor quality website content. Algorithms now rule the day. Only a professional, with proven credentials in web design, internet marketing, development and marketing skills and SEO experience will be able to deliver the results you want. If You’re Looking For Increased Business Conversions, Then New Research Suggests That LinkedIn Is The Social Platform For You.Any Business Can Do Social, But Only Those Companies That Fully Embrace It Will Succeed.